Toilet Bowl Sticker. Change and Pimp your toilet seat if you are tired of seeing always the same. Fun stickers to decorate your bathroom. Funny and original stickers to decorate the toilet in your bathroom or bathrooms, if you have more than one. 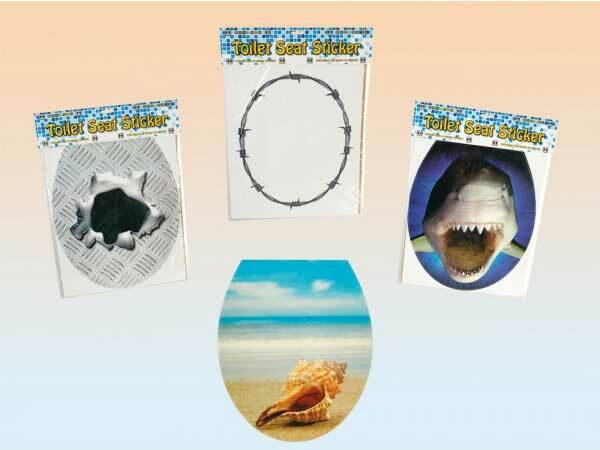 Several models of adhesives available: shark, beach, barbed wire and broken metal plate.